When you decide to get a solar battery system, you soon find out it’s not as easy as you thought! At least when it comes to deciding what to get and who to go through. A solar battery system is a complex thing. But the idea is usually the same. That is, an energy system which you can rely on to provide most of your energy needs… Most (if not all) of the time. Here are the top 7 tips from Solarbank to ensure you choose a suitable solar battery system to do the job. 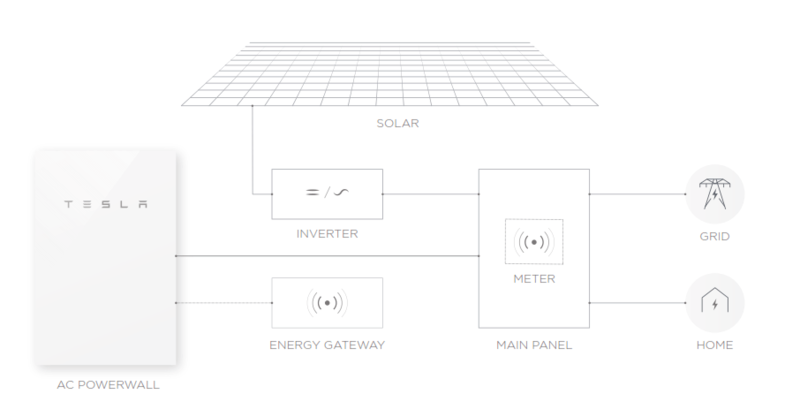 Here is a typical (AC) Powerwall setup for customers who already have solar panels. It’s crucial to firstly get some basic understanding of what you need. You should understand a little bit (at least) about your energy use and what you want to achieve with your solar battery system. The first number is easy – look at your past power bills (at least 1 year) and get an average – each bill might be different due to seasonality. The 2nd number you can get through “guesstimation” OR you could ask Solarbank for a FREE quote and we can run a simulation for you. Usually it will be around 4 x solar system size per day. So if you have a 5kW solar system, this would be 4 x 5 = 20kWh/day. The 3rd number is very difficult to guess. It’s best you get an expert to assess your particular case to advise on this. Let’s say you use 10kWh in the day (from your solar system) and another 10kWh overnight. 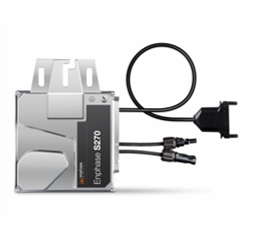 This would basically mean the excess 10kWh from your panels need to be stored in a battery for you to use overnight. Here is a 3 phase solar battery system installed by Solarbank. 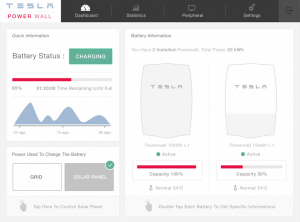 The image shows a Tesla Powerwall with SMA inverter tech. Powerwall 2 would not require the white box. 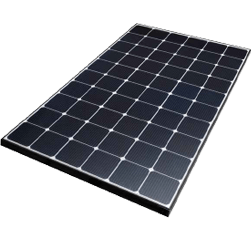 Solar Battery System Tip #2 – Already Got Solar Panels? If you’ve already got a solar system on the roof, you can easily add batteries. 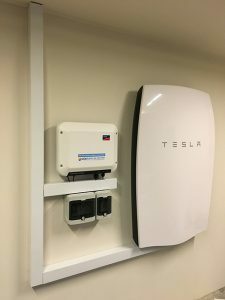 Tesla Powerwall 2 (AC) is specially designed for this. 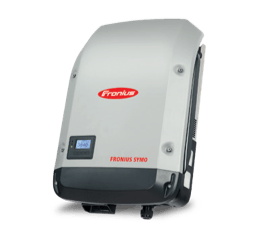 You may also need a solar system checkup to ensure everything is operating smoothly (before adding a battery to your system). In case you don’t know, a feed-in-tariff (FiT) is how much you get paid for excess power your solar panels produce. Back in the “golden” days, feed in tariffs were high and solar exploded in popularity. This is important to consider when you’re looking at getting a solar battery system. Since you don’t want to lose any potential valuable feed-in-tariff. 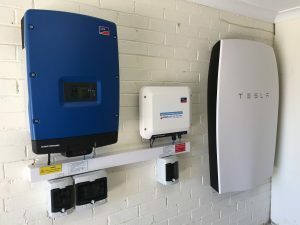 Most of the time, it’s easy to add a separate system, keep the feed-in-tariff on the old system and combine the 2 later on (if needed – once FiT expires). It’s important to get a quality system. Even more so today than previously. Since a solar battery system is more complex than a solar (grid) system, you want to make sure it’s quality. 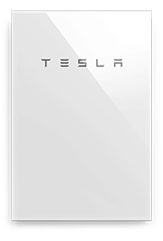 For example, you want a battery such as Tesla Powerwall 2 which comes with a 10 year warranty as standard. You also want something you know is going to perform. Something you can monitor. And something you can get fast help with (if needed). You need a solar system installer who is well-versed in solar battery system installations. Solarbank have done many residential and commercial solar battery system installations. It’s important to get someone reliable and fairly close by who can answer all your questions and be there to help when you need it most. Another beautifully completed solar battery system installation by Solarbank. A solar monitoring setup is important. It’s how you know everything is running smoothly (or not). Powerwall 2 lets you monitor real-time use and alerts you when Powerwall is preparing for cloudy or severe weather. Getting it right with monitoring can make a big difference both to your savings and to your peace of mind. Maintaining a solar system is crucial. You should ensure your panels stay clean and that you get a solar system health-check at least once a year. Solarbank can advise on a maintenance plan that’s best for you depending on your circumstances.